Since Oracle acquired Sun, and several of Sun products changed hands and management, there are a growing number of people asking questions about the products future. We will not be getting into all that discussion, but will focus on using one of the products that has already gained much out the new environment. 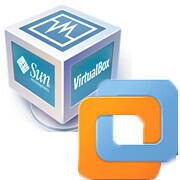 Sun VirtualBox is claiming to be the world’s most popular open source virtualization software. The latest version of the open source hypervisor developed by Sun, released after the acquisition from Oracle, offers numerous bug fixes and compatibility with the next version of Ubuntu. This is the first update marked by Oracle to the open source hypervisor developed by Sun Microsystems. The new version 3.1.6 of VirtualBox follows a grind of major importance to migrate virtual machines from one physical machine to warm to another without requiring the shutdown of the guest environment. This version fixes stability issues related to Linux kernel 2.6.31 and some processors. Problems with crash the operating system Mac OS X have also been resolved. Similarly, with some bugs caused Intel Core and Xeon, as well as the VT virtualization technology have been corrected. Note also that the hypervisor supports the latest version 10.04 of the Ubuntu Linux operating system, scheduled for April 29 next. How do I move a VMware virtual machine into VirtualBox?